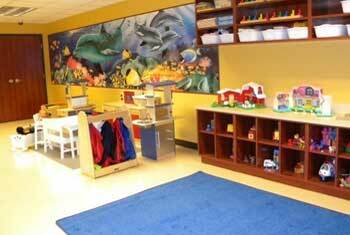 First Step Learning Centre has expanded for Infants and Toddlers – Swing on by and check out the space! 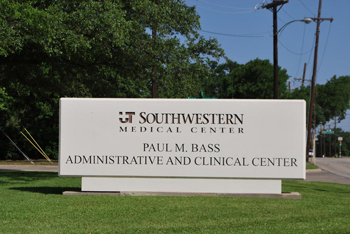 First Step Learning Centre is located in the Paul M. Bass Administration and Clinical Building on the campus of UTSW Medical Center. Our building is located near Mockingbird and Harry Hines. We have been in this location since March, 1998. First Step Learning Centre is Owned and Operated by Wendy Mireault. And now, after much hard work and perseverance, we have expanded to the A Level! This center holds 74 children. Same hours, same business, same owner and same morals – just a floor up! Downstairs, we care for children six weeks to five years of age. Our care is offered Monday thru Friday from 6:30 A.M. to 6:30 P.M. Feel free to give us a call or stop by for a tour of our facility. Space is limited, so hurry in and get on the waiting list!